Emeritus Professor Robert Brooks, the man who pioneered studies on hyperaccumulator plants to "harvest" metals such as gold and nickel from soil, has died at the age of 74. He had worked for Massey University for 40 years. He was the first Massey lecturer on whom the degree of Doctor of Science was conferred (in 1975), recognising his international contributions to science. He was made a Fellow of the Royal Society of New Zealand for outstanding contributions to science in 1996. He officially “retired” as Professor of Geochemistry at the age of 65 in 1991, but kept right on working as an honorary research fellow and lecturer in soil sciences. His most popularly-known work was about hyperaccumulator plants – plants that gather nickel, cobalt, copper, zinc and other heavy metals from metal-rich soils or mine tailings. Media interest in the word "gold" meant special notice for his work in recent years, in finding ways to encourage plants to take up gold from mine waste. A special post-harvest treatment process refined by Professor Brooks allowed gold to be collected from the plants. Another application, using accumulator plants to clean up polluted areas by removing elements such as nickel, mercury and cadmium from mine and smelter wastes, is now on the verge of full commercial development in several countries overseas. His research interests were much wider, however. He had collected one of the best meteorite collections in New Zealand, and with his research students and colleagues, produced a great deal of analytical information about them. This interest extended to studies on the "Cretaceous-Tertiary boundary" – a thin layer in the sedimentary rock record where there is evidence of the presence of extraterrestrial material such as meteorites. It is associated with the extinction of the dinosaurs and many other species, about 65 million years ago. Professor Brooks was also a master at rare plant identification. His botanical field work, much of it carried out with his Massey colleague Associate Professor Roger Reeves and with Dr Alan Barker of the University of Sheffield in England, took him to France, Italy, Austria, Spain, Sri Lanka, Russia, Japan, Australia, New Zealand, New Caledonia, Nova Scotia and arctic Canada. He led five national Geographic Society expeditions to Brazil, Argentina and Paraguay, Zaire, Spain and Morocco. Many plant species tolerant of metal rich soils, some of them rare and some of them strongly metal-accumulating, were collected. Several species, especially from Brazil, were new to science. He wrote 10 books and his paper publications ran to nearly 300. His 1987 book Serpentine and its Vegetationis regarded worldwide as the starting point for anyone wanting to do further work on the flora of areas of nickel-rich serpentine soils. His fluent Russian, German and French helped him access foreign-language publications in his areas. He also spoke Spanish and some Portuguese and Swahili. From about 1970, Professor Brooks and Associate Professor Reeves pioneered the teaching of analytical chemistry as a separate discipline for undergraduate students in chemistry and associated sciences in New Zealand. This was later emulated throughout the country. 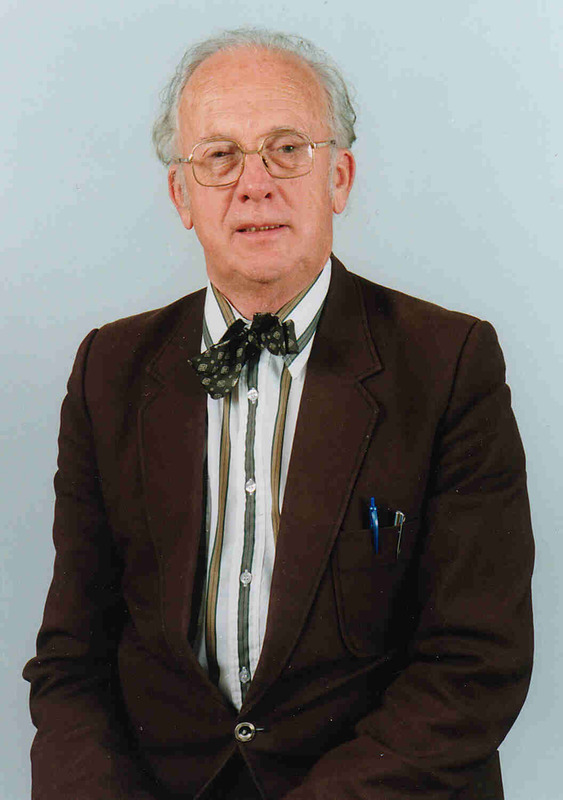 Professor Brooks was born in Bristol, England, and graduated from Bristol University with a BSc (Hons)in chemistry in 1952. He worked in industry as an analytical chemist in England and in South Africa, then in 1958 became a lecturer at the University of Cape Town. While lecturing, he gained his PhD in geochemistry and came to New Zealand in 1960. His wife, Mary, chose New Zealand over Australia, thinking it would be more like their native England. Massey University at that time had only about 50 teaching staff and a mere sprinkling of buildings.The Brooks watched Massey and Palmerston North grow over four decades. Colleagues said they would miss Robert Brooks' boundless energy, his love of science, his enthusiasm and his wicked sense of humour. Those who worked with him recall vividly his knack for encountering (or generating) problems while travelling, or in the field, and his equal facility for finding solutions to these problems. Back at Massey home base, with his colleagues in chemistry and soil science, his delight at the telling and re-telling of these experiences will be sorely missed. On a university campus where muddy gumboots were the traditional icon, Professor Brooks was known as the laughing, dapper man in the bowtie.